At 9am EDT on April 10, 2019, the Event Horizon Telescope (EHT) team and the National Science Foundation held a press conference. They announced the first results of the supermassive black hole imaging done by using radio telescopes joined as an almost-Earth-sized telescope. Speakers at the press conference were NSF Director France A. Cordova, EHT Director Sheperd Doeleman (Center for Astrophyiscs | Harvard & Smithsonian), Associate Professor Dan Marrone (The University of Arizona), Associate Professor Avery Broderick (University of Waterloo), and Professor Sera Markoff (University of Amsterdam). The released data and papers were of the massive black hole in the relatively nearby galaxy M87. The main result is that the 1.3mm wavelength images (from "Paper 1") of M87 show an asymmetric ring and a central region that is fainter than the ring by a factor of about 10. Numerical modeling of Kerr black holes produces model imaging consistent with the observed data, including this central "shadow" (The figure shows three different numerical models on the top line. The bottom line shows those simulations processed as if they were EHT observations.). In addition, given the distance to M87, a mass of 6.5 billion (plus or minus 10%) solar masses is derived, consistent with the mass based on kinematics of stars and globular clusters from HST observations from the Nuker team and from ground-based observations. Some alternatives to black hole physics and General Relativity have already been ruled out. The South Pole Telescope and the Sub Millimeter Telescope on Mt Graham were essential parts of the radio interferometer observations discussed here and were managed by Dan Marrone and his team. 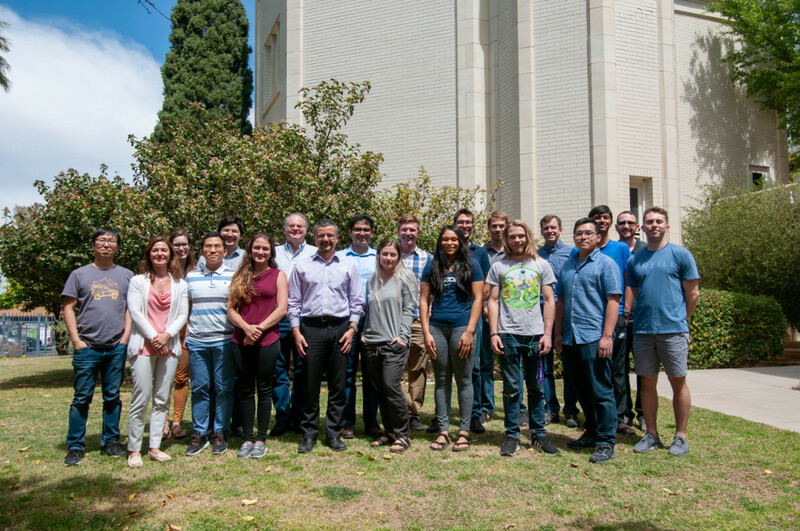 The Tucson science team consists of Assistant Astronomer Chi-Kwan Chan, SO Prize Fellow Pierre Christian, NOAO Astronomer Tod Lauer, Associate Professor Dan Marrone, Professor Feryal Ozel, Professor Dimitrios Psaltis, and Astronomy/Steward Head/Director Buell Jannuzi and Professor Lucy Ziurys. Graduate students working on the project include David Ball, Junhan Kim, Lia Medeiros (PhD April 2019), Carolyn Raithel, Mel Rose, Arash Roshanineshat, Kaushik Satapathy, and Tyler Trent. Current and former undergraduates include Joseph Allen, Devin Cameron, Elizabeth Champagne, Landen Conway, Ryan Gatski, Dalton Glove, Yuan Jea Hew, Kyle Massingill, Kaylah McGowan, Jose Perez, Will Price, Gustavo Rodriguez, Anthony Schlecht, and Alexis Tinoco. Observatory staff include Patrick Fimbres, Thomas Folkers, David Forbes, Robert Freund, Christopher Greer, Christian Holmstedt, Gene Lauria, Martin McColl, Robert Moulton, and George Reiland.